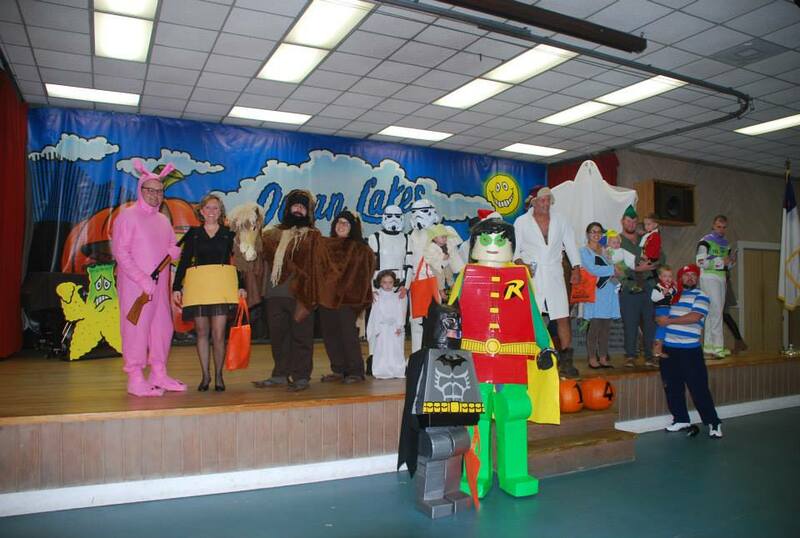 Guests appreciate the safe environment, and they enjoy the variety of activities that make Ocean Lakes a very special place to celebrate Halloween. 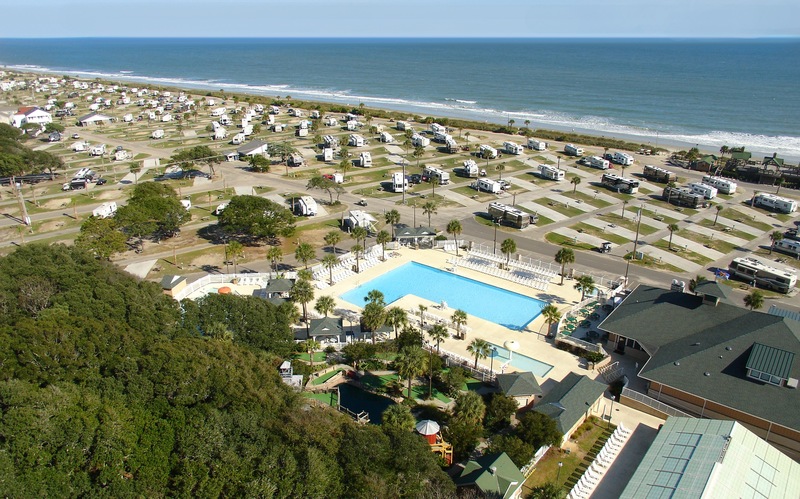 Ocean Lakes Family Campground is hosting three popular Halloweekends for registered guests this year. Family-friendly Halloween activities at Ocean Lakes will take place Oct. 16 - 17, Oct. 23 - 24, and Oct. 30 - 31. Those interested in attending are encouraged to make reservations for a campsite or house rental as soon as possible, as accommodation options tend to sell out early. All three weekends feature an assortment of family-friendly, traditional activities. From pumpkin carving contests to costume contests for both humans and pets, to trick or treating, the events are designed to be fun for all ages. Prizes range from glow in the dark cups to free campsite nights. Each weekend begins with Spooky Tales Of The Grand Strand on Friday night at 7 p.m. The scene is set at Sandy's Center Stage in Camptown Center. Guests can bring blankets and hear tales of local ghostly folklore while enjoying complimentary hot chocolate and coffee. Each Saturday, families can enjoy a full day of Halloween-themed activities. The fun begins at 9 a.m. with a Pumpkin Carving & Decorating Contest. At 11 a.m., The Great Pumpkin Search & Scavenger Hunt gets underway. 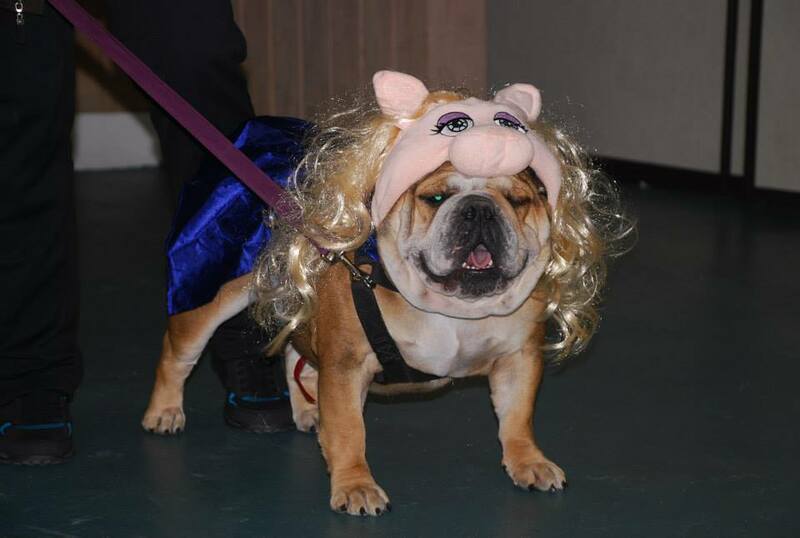 Pets show off their best costumes at 1 p.m., when the Pet Costume Contest begins, followed by the Human Costume Contest at 2:30 p.m. Prizes are awarded in categories such as scariest, funniest, cutest, most unique and best costumes. At 4:30 p.m. while it's still daylight, families staying at Ocean Lakes can walk about or hop on golf cars and take the kids Trick or Treating from site to site. At 6:30 p.m., it's time for the popular Creepy Site Crawl. 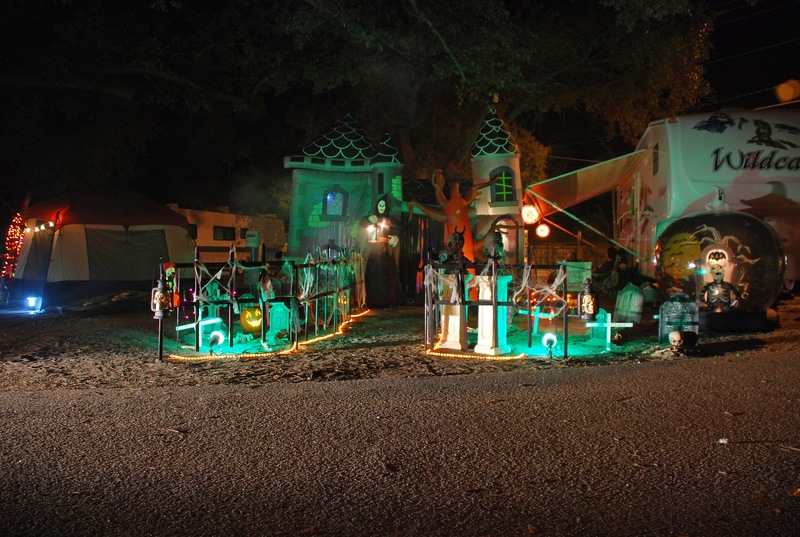 Campground guests decorate their sites in the Halloween spirit, and families ride golf cars or stroll around the campground checking out the many elaborately decorated campsites. Then, guests vote for the best decorations. Each Saturday evening concludes with a Monster Mash Ball at 7 p.m. as guests join together in their costumes and dance the spooky night away with a DJ. The winners of the Pumpkin Carving Contest and the Creepy Site Crawl will be announced during the celebration and fun. "Many families are making it a tradition to stay at Ocean Lakes for one or more of our Halloweekends," said Krumm. "And more and more, we're seeing not just parents and kids. The extended family members including grandparents, aunts and uncles are coming along for the fun. It's all about making memories that will last a lifetime." More information about Ocean Lakes is available at http://www.oceanlakes.com. To stay up-to-date on Ocean Lakes activities and news, head to Twitter and Facebook.